INVISIBLE-EXPORTS is pleased to present Miami Noir, an exhibition of Miami artists curated by Adriana Farietta. Miami is a vacationland built and rebuilt on the promise of international glamour and endless pleasure. But the artists who call Miami home have always known better. 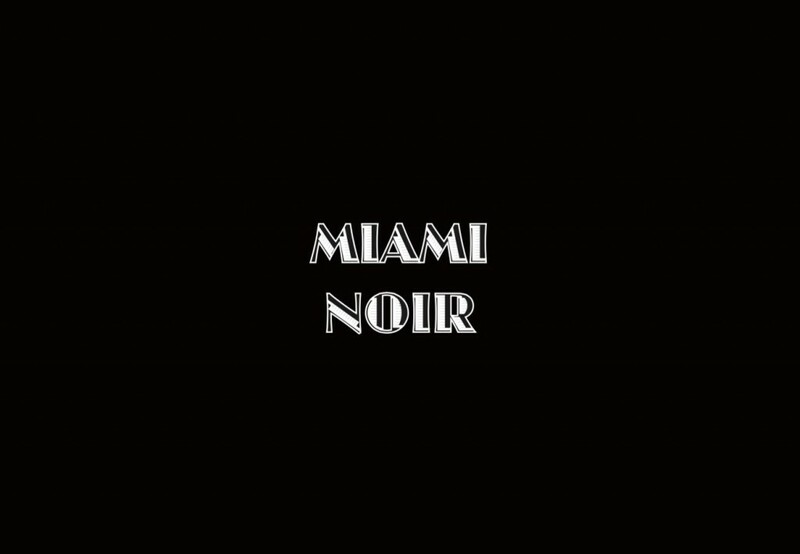 The work of Miami Noir depicts a darker city, more menacing, seductive but forbidding, a murky metropolis obscured for a time by new money, but which we now know will long outlast it. A city conjured up out of the Florida swampland by ruthless ambition and criminal enterprise. Noir emerged in Los Angeles as a way to explore the underside of American opportunity. First in potboilers but increasingly in novels and cinema, it expressed and appealed to our deepest anxieties about the modern urban age. New art in Miami explores similar unease about what American ambition has wrought—a culture of pleasure in which nearly all remain dissatisfied. By using objects from the underground drug market and from police interrogations, Nicolas Lobo is able to interweave, within his work in Miami Noir, two faces of this particular drama, played out daily on the streets of Miami. Clifton Childree creates claustrophobic environmental installations, stuffing entire rooms with elaborate sets that recreate silent-era imagery by presenting a nightmare of visual and psychological proportions. COOPER introduces a darker, more tangible noir, recreating suicide and the unease that accompanies the witnessing of such an event. Jason Hedges assaults the senses with his site-specific work of black peppercorns assembled on the floor. When crushed the peppercorns emit an overpowering odor from which you’re unable to escape. To those who know it, Miami is a town with a serious underbelly, and the artists assembled here offer up a vision of the city that’s beneath the neon lights that line Ocean Drive; a city struggling with moral ambiguity and sexual motivation, corruption, alienation and guilt. Welcome to Miami Noir. Adriana Farietta works at the Brooklyn Museum of Art in Brooklyn, NY. She previously worked for Scope Art Fair, Locust Projects in Miami, Florida and the Yerba Buena Center for the Arts in San Francisco, CA. She has curated and produced exhibitions in Miami, New York City and the Hamptons.